The Delhi Daredevils have never reached the IPL finals in spite of some memorable performances over the years. 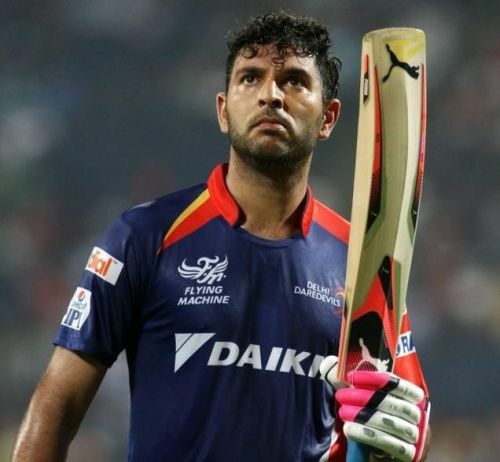 The Daredevils bought the Indian all-rounder Yuvraj Singh for a massive Rs.16 crore during the 2015 IPL auctions in the hope of challenging for the title. But the left-hander had a poor stint with the Delhi outfit, having scored just 248 runs in 14 matches at an average of 19.07 in the 2015 IPL. He took just one wicket in the entire season at an economy of 8.00. A lot was expected from the World cup hero, but he did not live up to those expectations. Eventually, he was released by the Daredevils for the 2017 IPL. But Yuvi still continues to be Delhi’s highest paid player in the IPL, courtesy his staggering Rs.16 crore contract in the eighth edition.